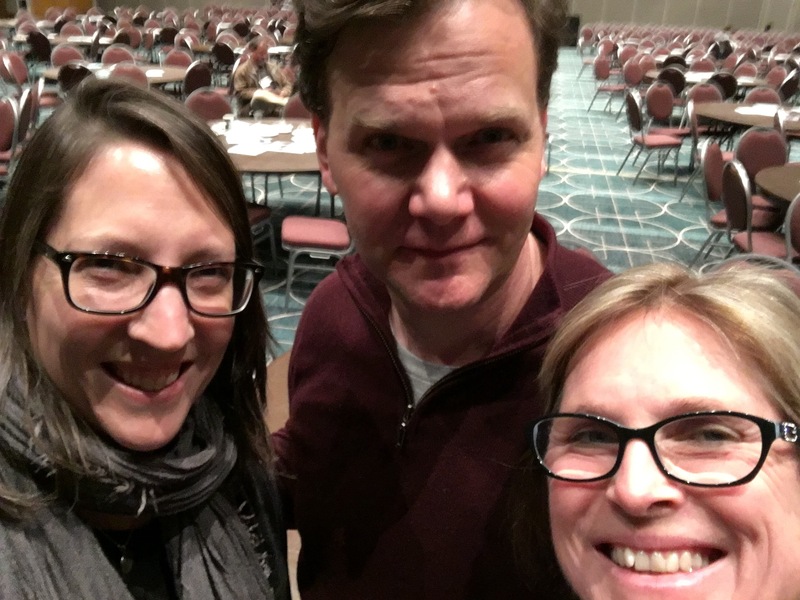 It seems only fitting to reflect on day one of NCTE with poetry inspired by Taylor Mali. I come to NCTE for the moments. we have at least one common acquaintance). because the two of us from Colorado can’t find west without our trusty mountains. I did not realize how grateful I would be to have it. help students and teachers in the business of learning/teaching writing. by seeing the youngest ones navigate it). For running into Colorado colleagues in the conference center hallways. For hors d’oeuvres at the exact moment I needed a little something to eat. when we asked to take a selfie with him, he looked the camera in the eye exactly perfectly. For meeting new people who let us join them in long lines. to take on the problems their policy has caused in our public schools. 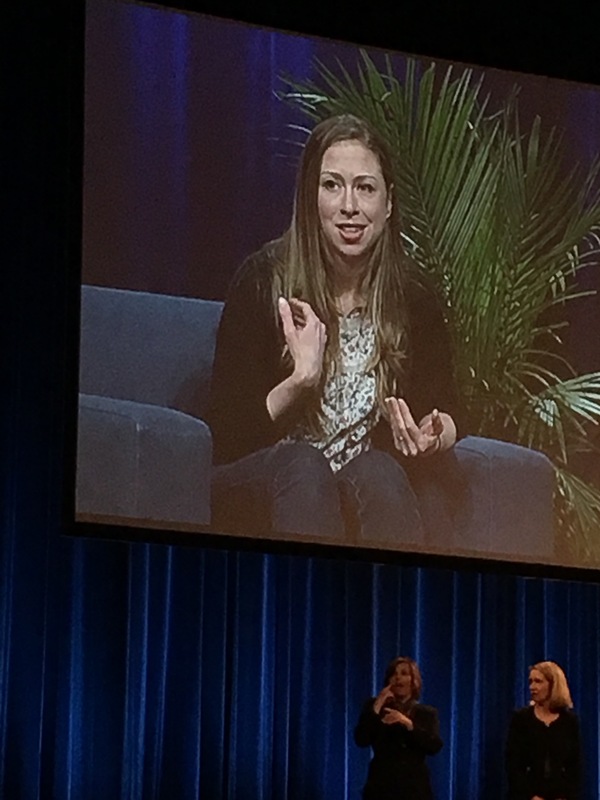 Chelsea Clinton responds to questions from the audience. “What does love have to do with it? Everything. Children deserve it 24/7. plans to explore more of the city. “I teach for the moment when everything catches fire and finally starts to burn,” says Mali. This entry was posted in #NCTE15, 21st century teaching and learning, colleagues, gratitude, on the road again, poetry, professional development, reflections, things made of awesome. Bookmark the permalink. Love this post. I didn’t have the energy to write one last night, but am writing this morning. Mine will deal a lot with finally meeting Ruth Ayres face to face and spending time with her. It will be the highlight of my #NCTE15 experience. Thanks for sharing the great quotes, I’m writing them down to savor later. Wonderful, Sarah! You remind me why I come to the conference every year. I think I should follow you around–you seem to know where the action is!